You'll be £12.99 closer to your next £10.00 credit when you purchase Fort Eben Emael. What's this? Order within the next 3 hours, 45 minutes to get your order processed the next working day! 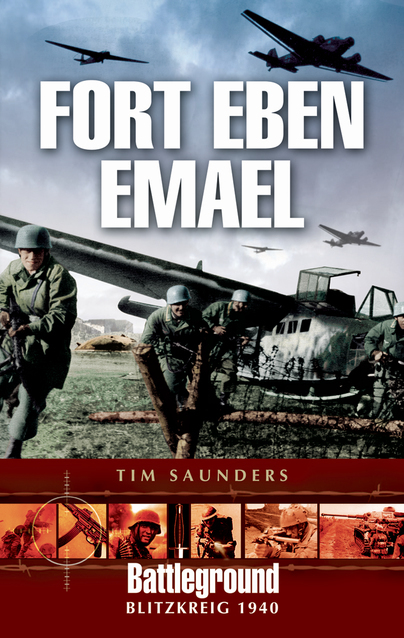 The seizure of the Belgian fortress stronghold at Eban Emael by German Airbourne and Special Forces was the dramatic opening shot in the Nazis' devastating May 1940 offensive. Codenamed Operation GRANITE, it involved glider forces in a daring "coup de main" operation achieving total surprise and success. The simultaneous assaults on key bridges on the Albert Canal are also described in graphic detail. Fort Eben Emael summaries the origins, tactics and specialised equipment of the Fallschirmjager, and gives a wonderfully detailed description of the layout of this immense fort and its impressive array of weaponry.